Never fear! The best of us get a little bit behind schedule from time to time (or all the time). If you are one of many who are spending your Christmas eve day chasing store closing deadlines this quick little DIY should help you out a lot. The best part? You (likely) won’t have to spend a cent. 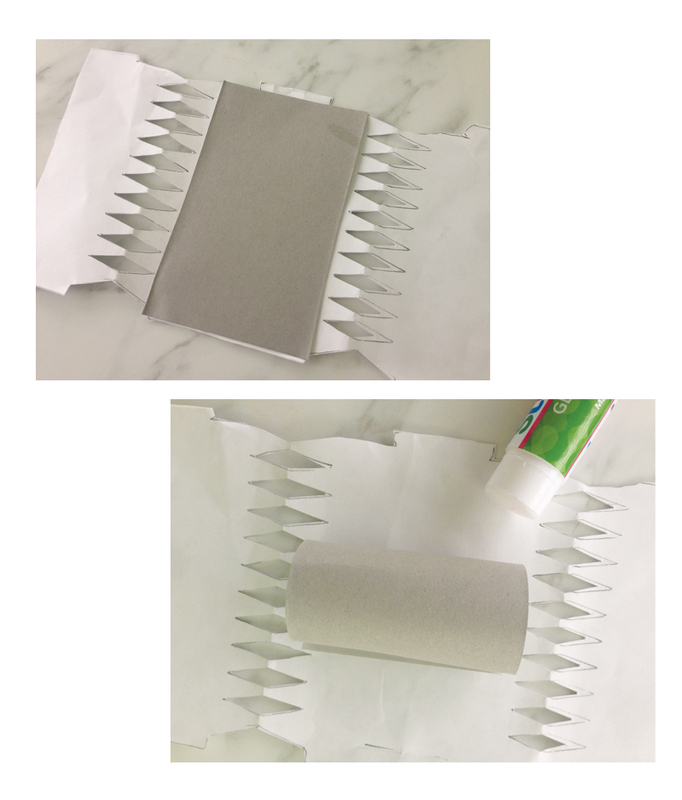 If you have visited a trendy store at any time over the past year and have a paper shopping bag hanging around then this DIY will save your gift-lacking behind. 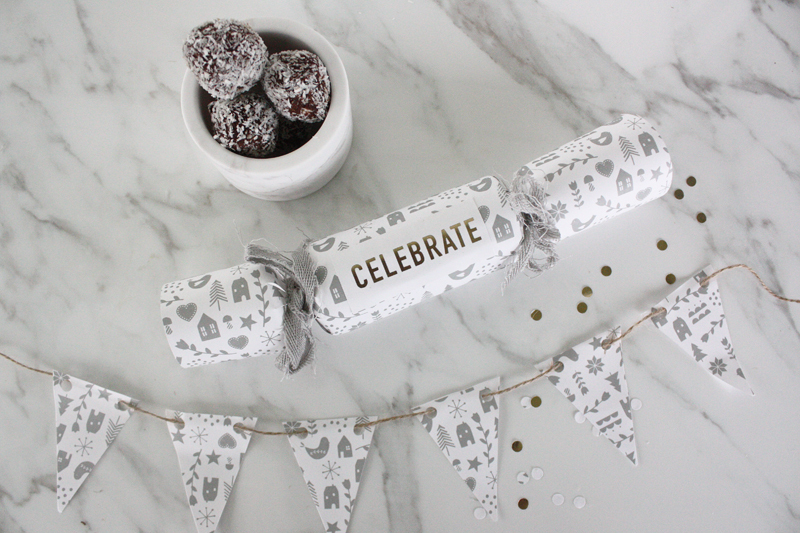 This crafty little bon bon uses nothing more than a fancy paper bag, some scissors and glue (and masking or sticky tape if you like) to turn recycling fodder into an upcycled gift. 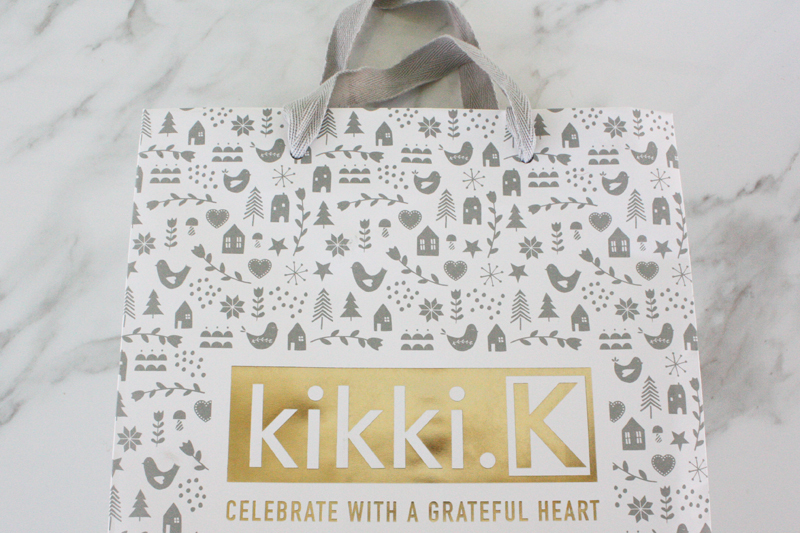 Paper shopping bag with a pretty print that you think deserves a second life. Twine (if your bag doesn’t have pretty handles like mine does). Untie the handles on your bag. Pull the cardboard bottom out of the bag and place it aside (it will be the roll in your bon bon). 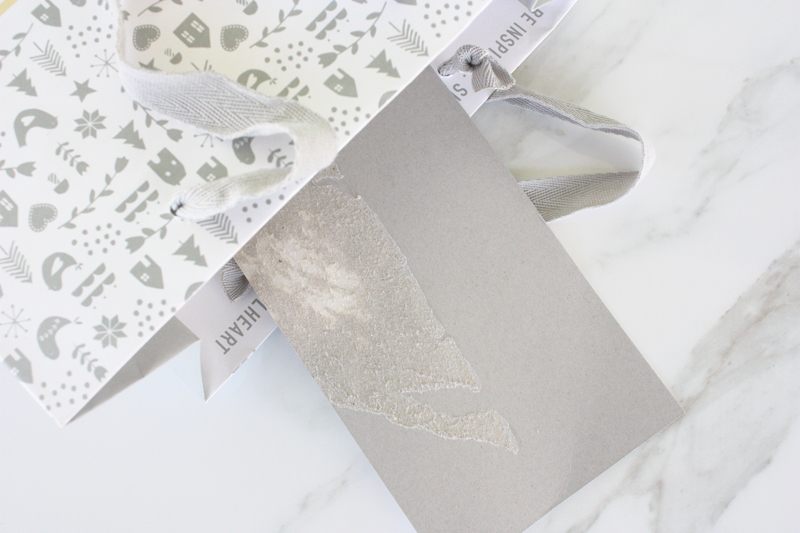 Break the bag down (by hand or with scissors) to maximise the amount of pretty paper bag you have to work with. 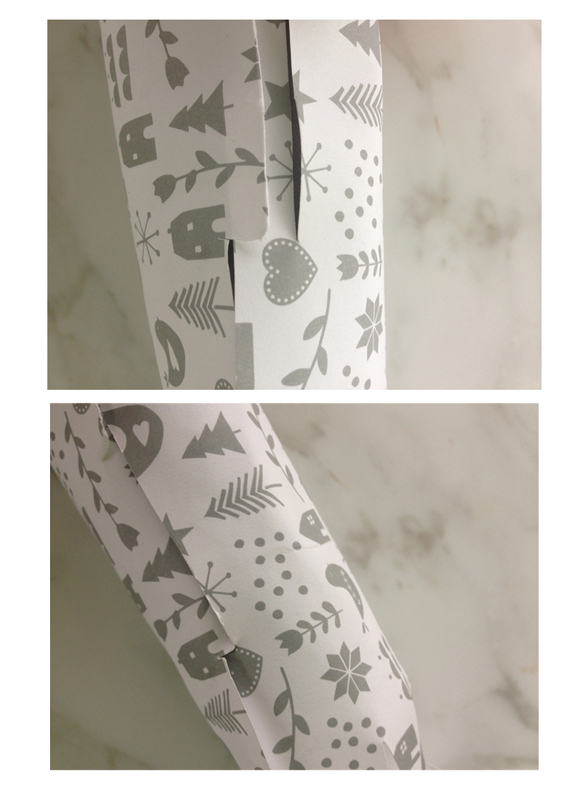 Cut around the bon bon template and lay it down on the paper you will be making your bon bon out of (place this paper print side down so you don’t end up with pencil markings on the print). Using a pencil trace around the bon bon template to create as many crackers as possible from the piece of paper you are working on. Cut around each of the bon bon template tracings being sure to cut as per the instructions on the template. This means folding in half (as per the image above) and cutting out all the triangles (when you unfold you will have diamond shaped cut outs). 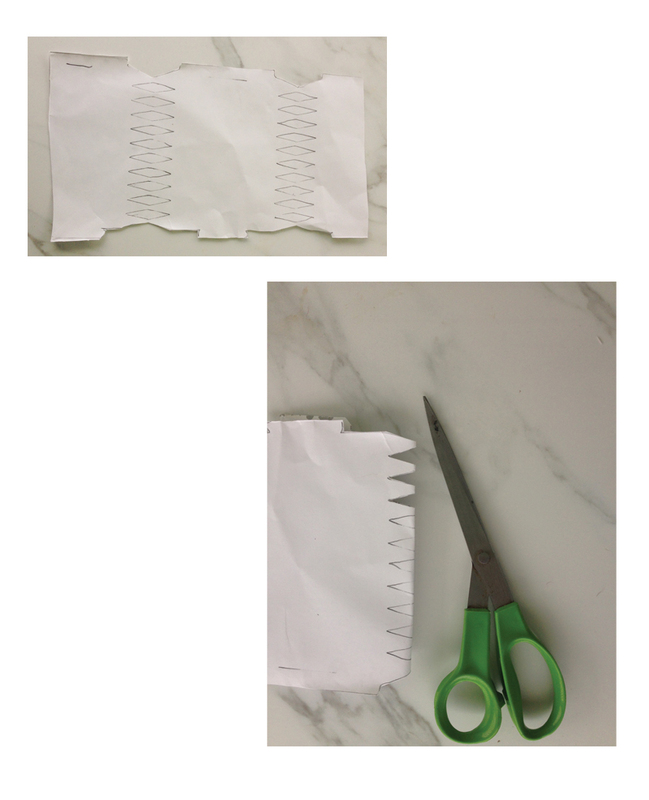 Be sure to cut open the tab slots so you can inset the tabs, you should be able to do this with scissors but a retractable Stanley knife is even easier. Creating the core for your bon bon. Slot your tabs together and use some glue or masking tape to affix them if needed. Close one side of the bon bon using the shopping bag handles or some twine. As the shopping bag used in the example had thick handles I cut them down to make the ‘ribbon’ smaller and more suited to the bon bon. This also meant that I could make multiple bon bon’s from the same bag as there was enough ribbon to do three. Leave one end open to add your goodies. What to put in the bon bon. 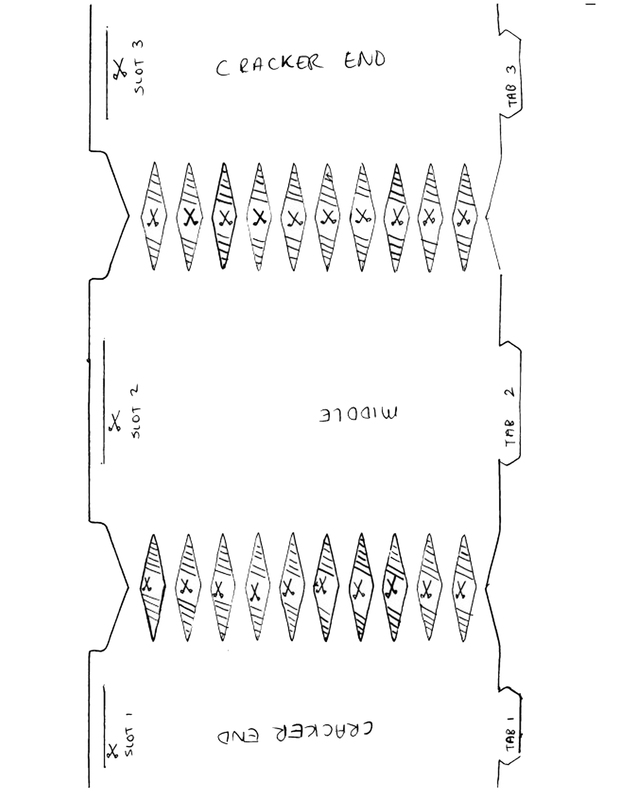 Knickers, Socks or Jocks (depending on the side of the item you might need to enlarge the cracker template to suit). What ideas do you have for bon bon filling? Have you used shopping bags as a different upcycle? Share any reflections, comments or suggestions below.